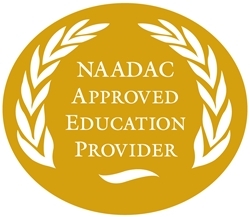 NADCP is an NAADAC-approved education provider (#78232). Continuing Legal Education (CLEs), Continuing Judicial Education (CJEs) and Continuing Education Units (CEUs, for substance use counselors and social workers only) will be pre-approved by many states. Pre-approval of hours will continue as in years past, and reports will be made to states requiring reports from the provider. All reports will be based on the online evaluation and certificate you complete. In order to receive continuing education credits, each attendee must be registered with their own email address, and all evaluations must be completed by August 2, 2019 (except Arkansas by July 26, 2019). If you have questions regarding state-specific requirements, please email Ann Wilson. You must evaluate each session you attend and obtain your certificate online in order to receive credit. Make sure to visit the continuing education desk during the conference to sign in as necessary, obtain state-required certificates and ensure you fully understand what must be completed to receive credit. You will receive emails from Terrence Walton before, during and after the conference with a link to evaluate your sessions and retrieve your certificate(s). Some agencies and states have system security that will not allow the computer-generated messages to reach the intended registrant/attendee. Check with your system administrator to determine if the computer-generated messages will reach you. If your business email will not allow the messages to reach you, you may want to register for the conference using your personal email address.